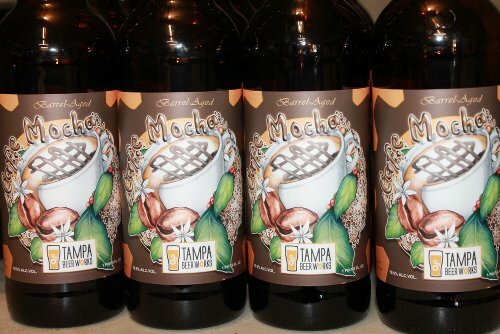 Today we are bottling up our Cafe Mocha. This Espresso Coffee stout was mashed in with fudge and aged in bourbon barrels. Tasting this sweet stout reveals chocolate and coffee notes with a subtle bourbon barrel flavor. Stay tuned for our upcoming bottle release next week.